NEW YORK - MAY 17, 2015: panning, steadicam shot of chess tables with speed matches and timers in park in 4K slow motion Manhattan NY. Washington Square Park is a famous public park in NYC, USA. 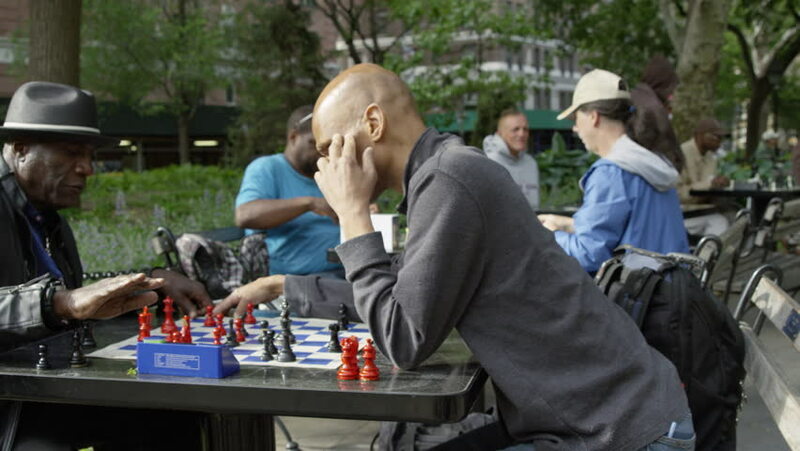 4k00:13NEW YORK - MAY 17, 2015: men playing chess in Washington Square Park in the Spring in slow motion 4K Manhattan NY. Washington Square Park is a famous public park in NYC, USA. 4k00:07Good-looking guy is playing the guitar while his male and female friends are listening to music, singing and having fun on picnic in park. Friendship and culture concept. 4k00:16a happy family of tourists, eating camp food, next to a tent on the edge of a steep coastline in a pine grove with a magnificent view of the seascape. 4k.